for the clergy and for people who suffer any need. the saint’s intercession may be found here. 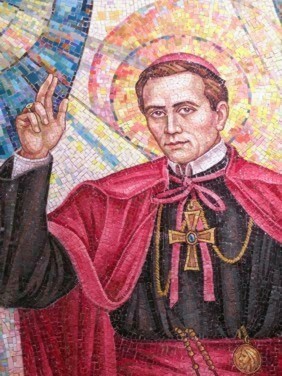 Neumann, [1811-1860] who receives the honor of one who lives in the glory of Christ. life, which are already known to you. human love raised up to its highest level in Christ, in God. than this: to lay down one’s life for one’s friends” (Jn. 15, 13). the apple of your eye” (Cfr. Epistola 2 June 1963). communities of faith and service. generation, to God’s love for his Church and the world. the Lord your God” (Matt. 22, 36). to all human needs, the first of which is truth. in love: love for God, love for neighbor. intercession of your prayers, help us today and for ever.